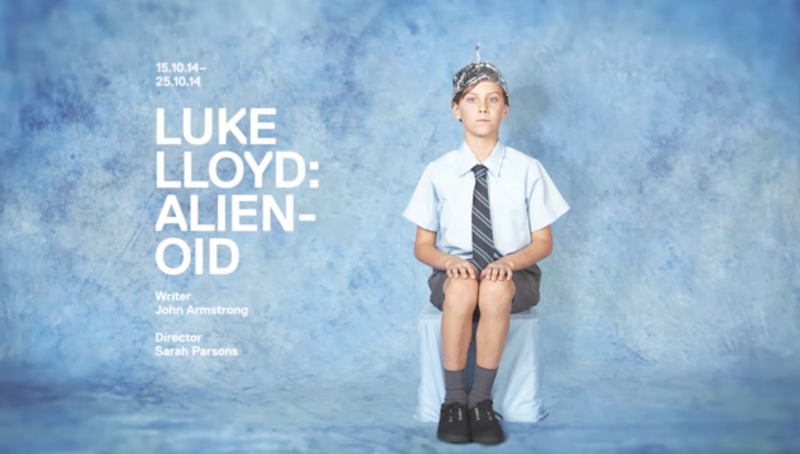 Luke Llyod isn’t like other boys at school but luckily he knows exactly why he doesn’t fit in: he’s half alien. Being half alien comes with many benefits: he can talk to animals and can become invisible. But when the school ‘fathers vs students game’ comes up, the school bully insists on meeting Llyod’s father. However, contacting aliens is never easy. Luke Llyod is a great twist on classic story of a boy who is struggling to fit in. While the story is definitely geared to younger audiences, it’s a production that anyone can take something away from. The acting is great, especially from such a young cast and stand out performances are made by the Bully and Luke Llyod. The production uses three projectors that are seamlessly integrated, for a production that feels entirely modern in both themes and technology. I recommend it.